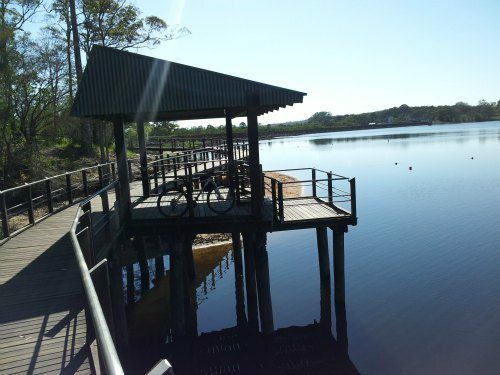 Ewen Maddock Dam is a popular recreation destination for locals and visitors to the Sunshine Coast. Along with boating and fishing, the multi-use trails are very popular, accommodating walkers, horse and bike riders. Located approximately 5 kilometres southeast of Mooloolah and 3 kilometres from Landsborough on the Sunshine Coast, Ewen Maddock Dam is part of South East Queensland’s drinking water supply. This large dam was constructed in 1973 and has a length of 3.1kms and is 2.6kms wide. The mean depth of the dam is 4.5 metres. The dam’s construction was completed in 1982 and, when full, can hold 16,587 megalitres. Popular activities in the parking area including walking, cycling, boating, swimming and picnicking. 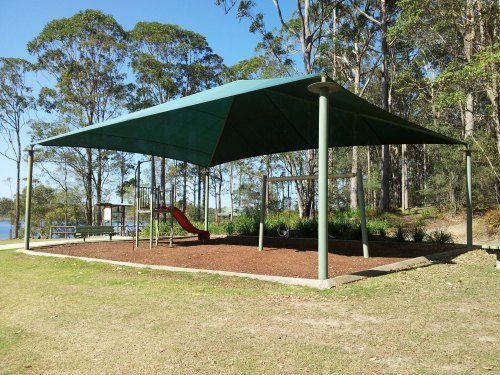 Maddock Park (located off Mooloolah Connection Road) is a popular picnic spot that has picnic tables, free BBQ’s as well as a designated swimming area with a beach. Maddock Park also has a playground for children which will keep them amused for hours. Paddling is a popular activity on the dam, however, please note that only non-motorised craft is permitted on the dam. There are designated launch points around the dam which are in place to protect the native flora and fauna around the dame. Boating permits are not currently required at Ewen Maddock Dam. Visitors are also permitted to fish in the dam and you are permitted to fish from your non-motorised boat, or from the platform at Maddock Park. A fishing permit is not required at Ewen Maddock Dam. 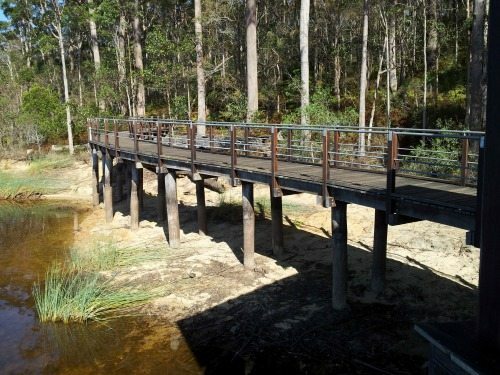 There are over 9km of multi-use trails that are shared between walkers, bike riders and horse riders around the dam. 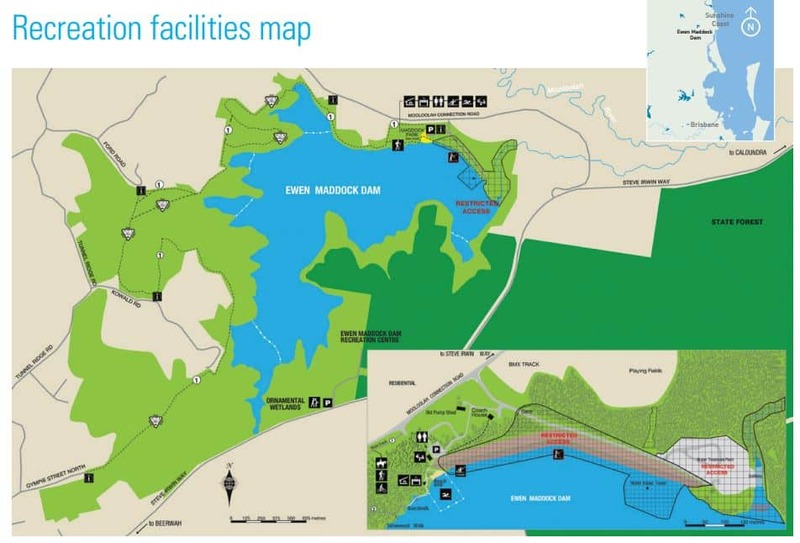 There are also two privately run campgrounds at Ewen Maddock Dam namely; Ewen Maddock Dam Camp and Recreation Centre (off Steve Irwin Way) and Tunnel Ridge Ranch (off Kowald Road). As the dam areas are home to native wildlife, dogs are permitted within designated areas (Maddock Park and on all of the surrounding trails) but must remain on a leash at all times. Horses are also permitted on designated tracks but must not enter the parking area. If you are looking for accommodation near the Ewan Maddock Dam, click on the link below to find the best deals. Are dogs not allowed there anymore? As the dam areas are home to native wildlife, dogs are permitted within designated areas (Maddock Park and on all of the surrounding trails). Tunnel Ridge Ranch (61 Kowald Road). Ph: (07) 5494 8657. The regulations state that “non-motorised craft” are permitted on the dam. They state that canoeing, kayaking and rowing are permitted, so I don’t see why sailing from a dinghy would be prohibited. Unfortunately, the online maps don’t seem to be working on the Sequater page (those who manage the dam). Perhaps you could give them a call on (07) 5475 7272 to enquire about the launch points.